I absolutely loved reading all 36 posts that linked up to Sharing the Blog Love last week, there was such a great mix of posts and the talent out there is amazing. It was also really lovely to discover some new blogs for me to read. Of course I then had the tough job of choosing my four posts to showcase this week and I am thrilled to share these wonderful posts with you all. If you are a regular reader of my blog you will know that we spend a lot of time with my parents and as such my girls have a lovely relationship with their grandparents. When I read this beautiful post, The Grandparent Bond, written by Geraldine I found myself nodding along, but it was more than that. She really captured the essence of parents becoming grandparents, how their role is different and how they are different to her daughter, than they were with her as a child. Such a warm heart felt post that I felt a real connection with. Thank you Geraldine for sharing this with us. Alice is starting school in September (eek) and I have been whirling the whole school run thing around in my head. Worrying about getting us all ready on time and not being that mummy running up the school path late. So, when I read Jo’s post, Nailing the School Run, I not only felt relieved that she didn’t nail it from day one and that she had an epic fail (sorry Jo, but this did make me feel better!). But, I also loved that she went on to share all her tips for how she has got everyone fed, clothed and to school on time. I love to be organised, but that isn’t always easy when you have two small humans to get organised too. With Jo’s fab advice I feel a lot better about September approaching and starting the daily school run. Thank you Jo, you are a life saver! Alice is a little girl that loves to make things and as she got older her attention span has got better. She will now sit for quite a while doing an activity. She also loves it when we do something new. We always do some quiet crafty activity when Holly is having a nap and I get to sit with Alice and we do it together. It really is one of my favourite times with her. I was delighted to read Lucy’s post about How to Make Paper Pom Poms, something I knew Alice would love. Her instructions were really clear and the photos nice and bright, so you could see what she talking about. I think this is a lovely activity that you don’t need lots of equipment for and doesn’t take to long to do. Plus they get to play with the pom poms afterwards or use them to decorate their bedroom. I think we will make some for Alice and Holly’s birthday party to decorate the table with some nice bright ones. Thank you Lucy for sharing this lovely activity with us all to enjoy doing. Oh my goodness I just adore this post, Asleep in the Bouncer, by Charlotte. Capturing one of those moments that as a mum your heart melts. There really is nothing sweeter than seeing a baby asleep, but when they have nodded off in a place that you wouldn’t expect it, it is even sweeter. I love that Charlotte has captured each of her babies in the same position over time, such gorgeous photos that are going to be a lovely memory to look back on over time. I have to admit I am a little bit jealous that all three of her babies fell asleep in the jumperoo and bouncer. My two girls never showed any sign of doing this when they were bouncing. Thank you Charlotte for sharing these adorable photos and making my heart melt. I will be showcasing these four posts across Twitter over the next week and also linking this post to #The List linky, for some more exposure for these fab posts. If you would like your post to be showcased, then please do join our linky Sharing the Blog Love and link up one of your posts for us to read. Previous Post: « Six Months Blogging…My Rambling Thoughts! I enjoyed some of these posts too. Liked some of these posts too. Thanks for hosting again this week. Lovely choices – it really was so difficult to choose. I particularly loved Geraldine’s grandparent post – there’s something so special about watching your parents become grandparents. And I’m definitely bookmarking the pom poms for parties and the school run tips for when the time comes! I’m another one who was very jealous about any baby that slept in a bouncer – mine never even slept in the pram! Lovely to have photos of each child doing the same thing, so cute! 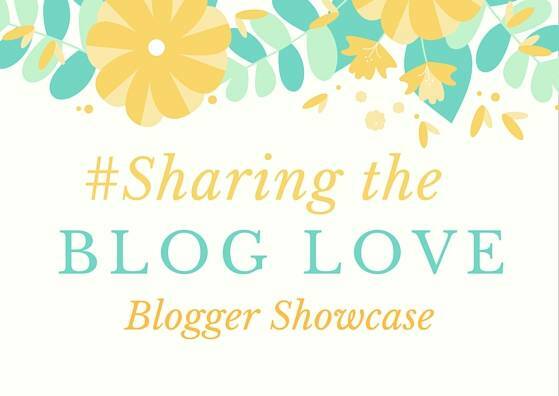 I really love the way this linky is working, such a nice way to #sharethebloglove and I can’t wait to get reading all the featured posts! A great selection! We’re happy to be joining in with our first #ShareTheBlogLove this week! This is gorgeous, what a fab way to run a linky. All really great posts, the babies in the jumperoo was so sweet. How lovely to capture them all like that. I have read two out of three of these posts, we share similar loves in the bloggers that we follow! My boys used to fall asleep in the highchair and all 3 of them, when placed in a door bouncer, would poop themselves so badly that it would leak out all over the floor and I’d often find a giggling, chubby baby bouncing about in a puddle of baby poop. Super posts and the Pom poms look amazing!! I’ll be trying those.